The first documented historical contact with the Natchez Indians occurred in March 1682 when the Rene-Robert Cavelier, Sieur de La Salle expedition descended the Mississippi River. Following La Salle’s meeting of the Natchez Indians, French and English explorers, priests, and military personnel made frequent visits to the Natchez area. The French established Fort Rosalie at Natchez in 1716 as the nucleus of a colony. Over the next thirteen years, the French colony at Natchez grew. However, disputes and misunderstandings between the French and the Natchez resulted in a series of conflicts. The situation worsened as the Natchez became caught up in the 18th-century struggle between England and France for control of North America. By the 1720s, English agents were successful in turning a significant portion of the Natchez tribe against the French. In November 1729 the Natchez Indians rebelled against the French colony, resulting in a war between the Natchez and the French. The Natchez Indians ultimately lost the war and were forced to abandon their homeland. Following their defeat at the hands of the French, many Natchez refugees joined other tribes, including the Chickasaws, Creeks, and Cherokees. Today, Natchez Indian descendants live in the southern Appalachian Mountains area and in Oklahoma. This sketch shows Fort Panmure, formerly Fort Rosalie, which was constructed on the site of present day Natchez by Lieutenant Governor Bienville in the early 1700s. At that time, the French ruled the Mississippi-Louisiana area. The fort was renamed in the 1760s during British rule of the colony. In 1797, the date of this sketch, Natchez was under Spanish rule. Most Rev. John Carroll S.J. Motto: Ne derelinquas nos Domine Deus Noster. "Forsake us not, O Lord our God." French explorers found Natchez and build the first Catholic church on plateau below Fort Rosalie and above the river landing. November 28: Natchez Indians attack Fort Rosalie and kill 150 men, 36 women, and 56 children. Among the dead were "(The Reverend Father) Poisson, Jesuit missionary", and "Francois Dubrey, Sacristan". 1762Louis XV cedes Louisiana territory west of the Mississippi to King Carlos III of Spain. The Treaty of Paris cedes French territory east of the Mississippi River to England. Spain takes control of the Natchez territory. Treaty of Paris ends the American Revolution, but Natchez is caught between the United States on the east and Spain on the west of the Mississippi River. August: Three priests arrive in New Orleans from the Royal College of Irishmen at the University of Salamanaca. The bishop of New Orleans assigns Fathers Mckenna and William Savage to Natchez and Father Gregory White to Coles Creek. March 21: The fire on Good Friday in New Orleans destroys St. Louis Cathedral and the church records. April 11: Property is purchased on Commerce Street in Natchez (center of town). Gayoso Don Carlos de Grand Pre becomes governor of territory. July 14: French Revolution--Church in turmoil and persecution. November 6: Father John Carroll appointed first bishop of Baltimore and of the United States. Natchez town plan ordered by Gayoso and designed by Jean (John) Girault; the Church of San Salvador del Mundo built on Commerce Street. St. Mary’s Seminary is founded in Baltimore by Sulpician fathers. 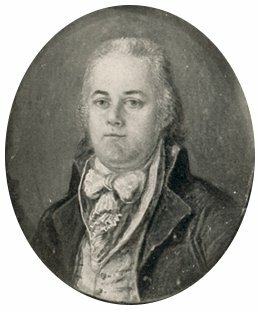 April 18: Father William Savage (Irish priest) dies in Natchez after six years of service. Father Francisco Lennan, pastor, and John Brady, O.D.C., assistant, until 1797. February14: Luis Penalver Y. Cardenas appointed bishop of New Orleans by royal decree. July 24: Bishop Cardenas arrives in New Orleans. October 4: John Joseph Chanche is born to John and Catherine Provost Chanche in Baltimore, Maryland. October 27: Treaty of San Lorenzo (Spain cedes Mississippi territory to United States). Bishop Cardenas visits the Catholics in Natchez from May 5 to May 16. June 17: Father Gregory White leaves Coles Creek after nine years. March to July 1800: Father Paul of St. Peter, O. C. D. serves Natchez. Dies at St. Gabriel, Louisiana, 1826. August: United States Governor Winthrop Sargeant arrives to govern the Natchez territory. He lives at Concord, the home of Spanish Governor Gayoso. Territory survey begun by Andrew Ellicott for the United States and by Sir William Dunbar for Spain. April 4: Bishop Cardenas resigns his office in New Orleans. October 1: Treaty of San Ildefonso (Spain sells New Orleans, Louisiana, to France). February 10: Bishop Cardenas becomes archbishop-elect of Guatemala. Appoints Father Thomas Hassett "ruler of his diocese”, and Father Patrick Walsh, his assistant. November 9, to May 1803: Father Henry Boutin is in Natchez. He is asked by Father Hassett of New Orleans to accompany sixteen Ursuline nuns to Havana as they preferred to "stay under Spain.” Afterwards Father Boutin is sent to Baton Rouge. He dies in France in 1815. Napoleon Bonaparte by Treaty of Paris sells Louisiana territory to United States. 1806St. Mary Seminary Chapel in Baltimore, Maryland. St. Mary’s Seminary Chapel in Baltimore, the first neo-Gothic church in the United States, is begun. July 7: Bishop John Carroll lays the cornerstone for the first cathedral in the United States. Mother Elizabeth Ann Bayley Seton founds the Daughters of Charity of St. Joseph. John Joseph Chanche (later, first bishop of Natchez) enters St. Mary’s College in Baltimore, Maryland. Elizabeth Maria Celest Brooks of Natchez wills $1,000 to support a priest in Natchez if one could be obtained within three years. Bishop William Dubourg appointed to the diocese of New Orleans, which includes Mississippi to St. Louis, Missouri. December 3: Archbishop John Carroll dies in Baltimore. Oct. 14: Manuel Garcia de Texada wills $1,500 to the Roman Catholic congregation if they organize within two years. December 10: State of Mississippi is established. Mississippi legislature passes an act to incorporate the president and board of trustees of the Catholic Church. Father L. A. Chauderat arrives from Bardstown, Kentucky, and then goes to New Orleans to procure requisites for mass. June 5: John Joseph Chanche ordained to the priesthood by Archbishop Marechal of Baltimore. June 12: First mass said by resident priest since Spanish-appointed clergy departed. December: Father Chauderat departs after Christmas for Arkansas. Father Anthony Blanc in Natchez from March to June. Born in France in 1792, he later becomes archbishop of New Orleans and supporter of Bishop Chanche. January 4: Mother Seton, foundress of the Daughters of Charity of St. Joseph, dies in Emmitsburg, Maryland. May 21: Archbishop Marechal dedicates first cathedral in the United States, Assumption of the Blessed Virgin Mary, in Baltimore. June: Father Constantine Maenhaut arrives in Natchez after his ordination in St. Louis, Missouri, and serves as pastor until January 1823. Natchez City Cemetery established north of town. Transferral of remains in the Spanish cemetery (now Memorial Park) begins. Bishop Louis Dubourg of New Orleans administers Confirmation in Natchez with the assistance of Reverend M. Vidal, brother to Don Jose Vidal from Vidalia. January: Father Maenhaut sent to New Orleans. April: Reverend Simon Gallagher arrives from New Orleans but dies on December 13, 1825, in Natchez at 69 years old. December 1: Gabriel Gireaudeau dies without a priest. March 24: Father Anthony Ganilh arrives from Baton Rouge to become pastor of San Salvador del Mundo Church. May 1: The Roman Catholic Society of Natchez rents the under story of the church to J. J. Rowan & Company for a dry goods store. February 13: Announcement in the Natchez newspaper that Mass will be offered. February 17: Father Leo DeNeckere is bishop-elect of New Orleans. He dies in 1833. Father Doyle is in Natchez for two consecutive Sundays. May 1: The under story of San Salvador del Mundo Catholic Church rented to Stockman and Phipps for a dry goods store. December 28: The forty-year old Spanish church burns. The organ was lost, but smaller articles of the church were saved. Father Adam Kindelon comes from New Orleans for a few months. Father A.P. Ladaviere signs himself as administrator of the diocese. Reverend John Joseph Chanche, S. S. is president of St. Mary’s College in Baltimore until 1840. June 19: Father Blanc named bishop of New Orleans and consecrated on November 22. Grading of the Spanish cemetery to street level in preparation for construction of 1839 presbytery and future growth of the church in Natchez. July 28: Episcopal Diocese of Natchez established by Pope Gregory XVI at St. Mary Major in Rome along with those of Nashville and Dubuque, Iowa. Father Thomas Heyden of Pittsburgh named first bishop of Natchez, but he refused the appointment. Sources: Cradle Days of St. Mary’s at Natchez by Richard O. Gerow, bishop of Natchez; 1941 (reprinted 1985); St. Mary’s of Natchez: The History of a Southern Catholic Congregation, 1716-1988, Vols. I & II, by Charles E. Nolan, Ph.D., 1992; Letters of Francis Janssens, archbishop of New Orleans (formerly bishop of Natchez), in the archives of Notre Dame, Notre Dame University, South Bend, Indiana.